Lack of board engagement is a common frustration for CEO’s and board chairs. Issues can range from members just not showing up to meetings, to their looking away when tasks are being handed out or when the topic of ‘fundraising’ comes up. SET EXPECTATIONS. This should be done BEFORE they join the board but if that didn’t happen or they have been on the board for some time, it’s time to revisit this topic with them. Have a conversation on what they want to accomplish for both the organization and for themselves, with the remaining time they have left to serve on the board. BOARD MEETING PREPARATION. Any documents, including agenda, financials and director’s report, should be sent out several days ahead of the meeting with the expectation that board members read the documents before the meeting. Most of the pre-reading material is about what’s happened in the past, allowing the board to then focus on what lies ahead at the meeting. ENGAGING BOARD MEETINGS. The board should spend its time on tough problems and challenges, especially those external factors that may impact the organization’s future. This is an opportunity to problem solve and generate solutions guided by the strategy the board has established. The CEO and Board Chair must work together to structure and facilitate meetings with exercises involving all board members encouraging them to contribute as active members making a real difference. TEAM ACCOUNTABILITY. 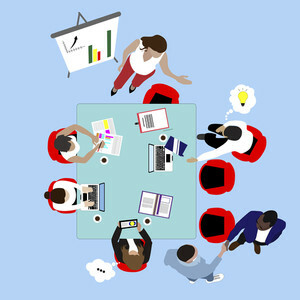 Board members should be carrying out various tasks to support their organization. Keep an action register to record commitments made at board meetings. These should be in the minutes and sent again to board members before the next meeting. Board members have many opportunities to contribute such as fundraising for example. One director might be making thank you calls and another may be hosting a dinner for donors. Making visible what others are contributing often leads to inspiring and challenging others to do the same. CONTINUOUS EDUCATION. Educating the board can also help keep them energized. This is not only when onboarding new directors, but should continue throughout the year. Preparing them with stories, program information, and results boosts their confidence as ambassadors in the community. Also, be clear on their roles and responsibilities in terms of governance and oversight. GRATITUDE. Last but not least, always show appreciation for their contributions. Be specific and share how what they did contributed to advancing the mission or helped achieve a goal. Make it visible to all members that everyone is pitching in. Everyone likes to be recognized for the good work they do. By implementing these ideas, your board can also experience amazing meetings and more importantly amazing impact! JBL Strategies offers a customized Board development & engagement program for nonprofits wishing to enhance the performance of their boards and plan for the long term success of the organization. For more information, visit jblstrategies.com, or email us at jbl@jblstrategies.com. Posted in Board Leadership and tagged Board education, Board engagement, board performance, board training, governance, leadership, nonprofits, oversight.